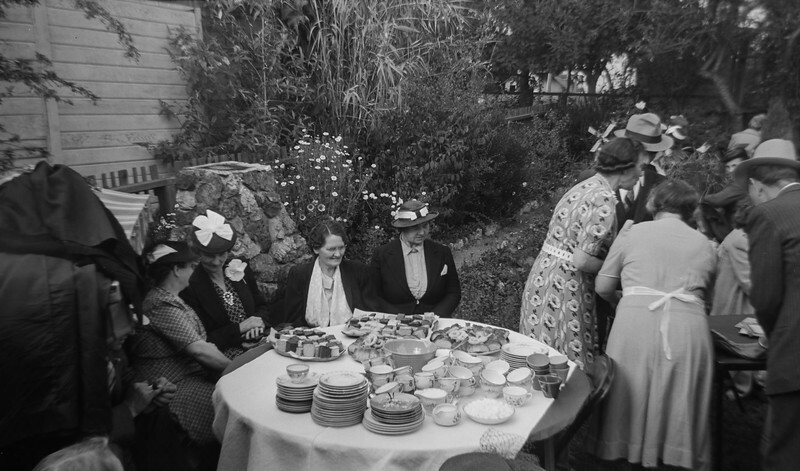 A collection of old photographs of the Berkeley Finnish immigrant community has been found and redeveloped by Mikko Varpiola. Have a look at these beautiful images, and please contact us at finnish.hall@gmail.com if you recognize anybody, or have any other information to offer about them. The Finnish Heritage Society welcomes you all to our annual Vappu celebrating the spring and Finnish Culture! Kids Arts & Crafts activities table. DJ Kat will spin Finnish music of all styles from pop to folk. Poems from the Finnish American perspective! Salads, smoked salmon, cheeses, spreads, pasta, breads, and Finnish berry cakes! Our Vappu Silent Auctions have always been wonderfully popular. The highest bidders have left with amazing treasures. Due to the small size of our Finnish community the prices have not reached anywhere near the levels one could expect to pay at Ebay or a popular first class charity or antique store. Our silent auction is a bargain hunter’s dream. All proceeds from this auction go to our historic Berkeley Finnish Hall. The Hall is in a beautiful shape already, but now we are pushing very hard to be able to make the Hall ADA compliant. For this year’s silent auction we have already been donated several beautiful Finnish items by Mary Ellen MacMuldren from Riku Ploe-Kaijala’s estate. Carolyn Hunt has also given us many delightful things from Wes Ludeman’s collection. In case YOU, who are reading this, have some item or items which you would not mind donating to the Berkeley Finnish Hall, and make the highest bidder very happy and appreciative, please contact me, Kirsti Bellows. The items do not have to be Finnish, but they should be in good condition. We do not have space for used clothing or shoes. My email address is kirstikb@yahoo.com, phone 510.527.6160. Vappu is celebrated traditionally on 1 May and marks the end of winter. It is also celebrated as International Labor Day in most places in the world and is one of the biggest festivals of the year in Finland alongside Midsummer's Day and Christmas. Vappu was created in the nineteenth century when engineering students would celebrate and party at midnight on 30 April, while sporting their traditional white caps. This custom has now become widespread across Finland, leading to partying in towns and cities. Join UFKB&S! The Lodge meets officially on the 2nd Wednesday of every month at 7:15 p.m. in The Helsinki Cafe. Prospective members are encouraged to attend an event or a meeting, where they can ask questions and pick up an application. Future members must be voted in by members of the organization. Contact finnish.hall@gmail.com for more information. The Finnish Hall and Lodge has served both immigrants and those seeking connection with their Finnish heritage and cultural practices. Lodge 21 is the second largest lodge in the United Finnish Kaleva Brothers & Sisters. Activities at the Finnish Hall have included stage plays, dances, orchestra, choruses, folk dancing, lending library, public dances, concerts, voting for Finnish national elections, movies, arts shows, poetry readings, and benefits. For information on joining the hall's Finnish membership, please contact bfhmembership@gmail.com or fill out the form below! Lodge members at the annual Vappu dance.